SOUTHFIELD, Mich.-Icahn Automotive Group LLC, which owns and operates leading auto repair and maintenance providers Pep Boys, AAMCO and Precision Tune Auto Care, announced today that it has completed its acquisition of RPM Automotive. For Icahn Automotive, the deal expands its presence in the Southeastern U.S., an important market for the Company, by 10 locations and more than 100 service bays. Headquartered in Jacksonville, Fla., RPM Automotive has built a reputation on its exceptional customer service and quality work on all makes and models, including luxury vehicles and large fleets. Icahn Automotive Group LLC (Icahn Automotive) was formed by its parent, Icahn Enterprises L.P. , to invest in and operate businesses involved in aftermarket parts distribution and service. Our businesses have a singular focus: provide premium automotive parts and services at a great value. 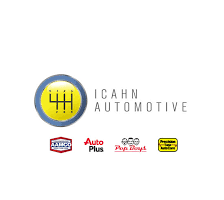 Icahn Automotive today consists of Pep Boys® automotive aftermarket retail and service chain, Auto Plus® automotive aftermarket parts distributor, Precision Tune Auto Care® owned and franchised automotive service centers, and AAMCO Total Auto Care franchised service centers. The Company also is the licensor of Cottman Transmission and operates under several local brands. The businesses of Icahn Automotive total over 22,000 employees, over 2,000 company-owned and franchise locations, and 25 distribution centers throughout the US, Canada, and Puerto Rico. For more information, visit IcahnAutomotive.com.